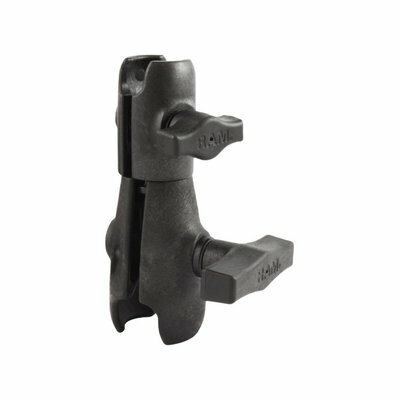 Maakt verbinding van B naar C-Kogel en is 360 graden draaibaar in het midden van de arm. 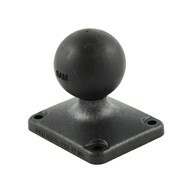 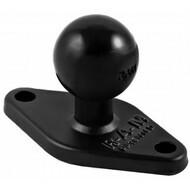 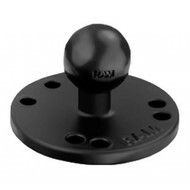 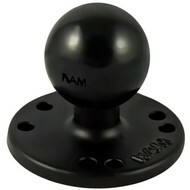 This RAM MOUNT composite double socket swivel arm (RAP-BC-201U) consists of one 1" diameter open ball socket and one 1.5" open ball socket plus a 360° rotation point at the center of the arm. 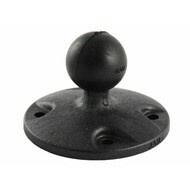 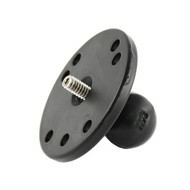 The rubber ball and socket at either end, and a central pivot point provides unsurpassed adjustability. 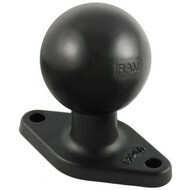 The RAM ball sockets maximize ball coverage for optimal fit.